Opting to pile friends or family into a condo is the best way to do Breckenridge on a budget. There are many affordable accommodations in Breckenridge that provide incredible value; nearly everything is within walking distance or a short bus ride away. You'll receive the best bang for your buck at River Mountain Lodge and Los Pinos. All of these properties are centrally located near historic downtown and the base of the mountain, River Mountain Lodge sits just across from the bottom of Four O’clock run. They all feature relaxing amenities such as hot tubs and saunas. If the specials and deals common to Beaver Run Resort don’t sway you, its prime location at the base of Peak 9, many amenities, including its eight hot tubs, massage services and its ski in, ski out accommodations certainly will. It’s hard to beat the daily happy hour deals at Mi Casa if you’re looking for an affordable Breckenridge restaurant Mi Casa is the spot to be every day. From 3 p.m. to 6 p.m. hungry—and thirsty— skiers and boarders can nab $1 tacos, $5 basket of chicken wings, $5 pitchers of Pabst Blue Ribbon, and many more discounts. Clint’s Bakery and Coffee House on Main Street is the best spot to grab a quick cup of coffee and a delicious pastry in the morning. The menu is affordable, the service is good, and it’s easy to take your breakfast onto the gondola if you’re excited to hit the slopes for first tracks. Late-night hotspot Empire Burger is a great option for inexpensive drinks, burgers, shakes and other comfort food. Head to Carter Park for free thrills off the mountain. The sledding hill at Carter Park is fun for kids and adults, there are cheap sleds to buy at any grocery store in Breckenridge, and sliding down the hills on a sled is a great way to spend an afternoon in the mountains. With indoor and outdoor ice skating rinks and daily admission rates that are $8 for adults and $6 for youth (17 and under), the Stephen C. West Ice Arena is a great option for a fun and affordable activity in Breckenridge. There’s no shortage of history in Breckenridge and there are a few free museums throughout town. The Barney Ford House Museum—honoring Barney L. Ford, an escaped slave who became an entrepreneur, black civil rights leader, and integral part of the Breckenridge community in the late 1800s—and the Edwin Carter Museum—devoted to Breckenridge’s most famous naturalist and scientist from the late 1800s—are two must-see free museums for history buffs. To capitalize on one of Breckenridge's best ski vacation deals book your complete trip through Ski.com. We can customize and package flights, lodging, ground transfers, lift tickets, equipment rentals and more. Remember the more you package, the more you save. 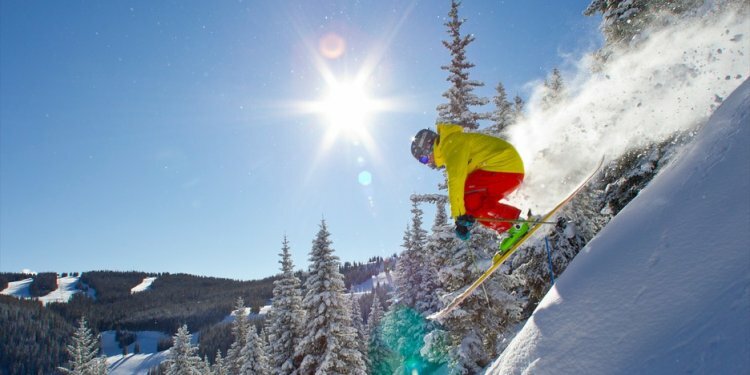 Start by perusing our online Breckenridge ski vacation deals, or if you have additional questions, call or with one of our knowledgeable Mountain Vacation Specialists.